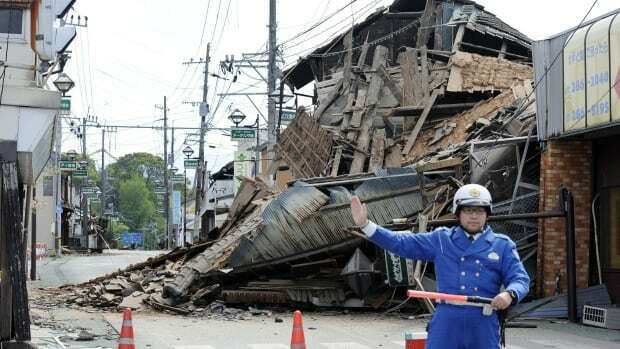 An earthquake measuring 6.1 magnitude struck off northeastern Japan on Wednesday, the U.S. Geological Survey said. On March 11, 2011, the Fukushima Daiichi nuclear power plant on Japan’s east coast was designed to withstand a magnitude-7-plus earthquake. A flood wall 18 feet high stood between the plant and the Pacific. But the Great East Japan earthquake that day measured magnitude 9, unleashing a tsunami that topped 45 feet. The plant was inundated, backup generators were flooded and fuel supplies were swept away. Tokyo Electric Power Co. (TEPCO) emergency crews soon were without any electric power to run cooling water recirculation pumps to prevent the meltdowns of three reactor cores, explosions from leaking hydrogen, and the second-worst nuclear power accident in history. TEPCO workers, who could not know whether their families were among the 18,500 people killed or missing, had to battle through a horrific crisis they had never prepared for, subsequent investigation found. 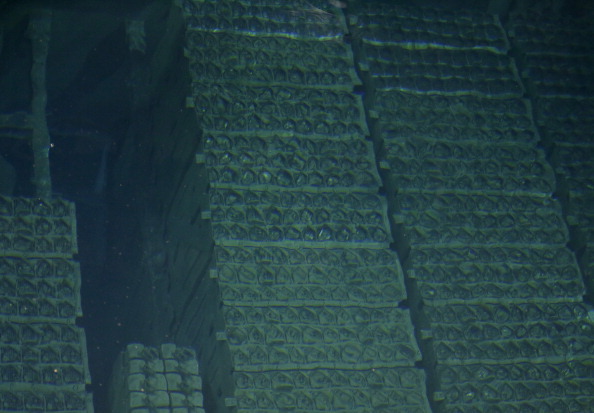 After a 9.0 Earthquake triggered a tsunami, killing 16,000 people and causing a meltdown at the Fukushima Daiichi plant, officials began removing the spent fuel pins (or rods) back in 2013. This project was headed up by the plant’s operator, Tokyo Electric Power Co (Tepco). They have so far removed hundreds of spent fuel rods from one of the damaged buildings, but there are still three more buildings to clear, and locating the fuel rods is proving difficult. Hello My name is Miho Kazama. Kyoto resident from last spring, but had been working in Tokyo base about 10 years, including the time the earthquake. At that time worked at an intermediate support groups of environment system called “Institute Think the Earth”. We were engaged in, such as project planning and management related to CSR and the public awareness campaign of the Ministry of the Environment of the company. This organization launched the “Think the Earth Fund”, attracted 83.5 million yen in the six months from the Great East Japan Earthquake, we distribute the donations with no fee to 44 organizations working in the field. Then launched a “Do not forget Project”, while collecting 30 million yen in donations in five years, you have to distribute the donations to more than 20 organizations. I myself am from Niigata Prefecture, facing the Sea of ​​Japan. Now lives away from the coastal areas, it is so no longer able to go on fishing. Among the organizations it was in the Northeast at the time support, now you talk to only one of about 10 minutes does not remain in the local. “Now that support is lost is, to again the future, must go to their own efforts,” I had felt that, as saying. Also it has become clear, such as. Along with the difficulty of the recovery from the earthquake, the realistic practice and the nature of the quality of the Japanese society, it will have seem to be again Tsumasare to wear. From the nuclear power plant accident in Fukushima, we are you already noticed. This social structure has been the ideal until, that contains a number of risks. The economic priority society in which we were to believe blindly, that the limit is visiting. Technical capabilities than the wish to improve the renewable energy, if we increase the participation of the political rather, not as soon as possible that cause change in Japanese society … to the fact that, we are aware painfully now I think that. However, although the fall is known, it is difficult to easily change the workings of everyday life and day-to-day economy. So at the very least, and a lot of people get ready to risk the next earthquake, review the relationship building and information dissemination and neighbors about disaster prevention, I think has started a variety of efforts trying to increase the resilience force. Then, review and disaster drills lifeline has been performed in various places in the city, in the countryside has been a growing interest in the self-sufficiency of food security and energy. That is why the 21st century trend of Japanese society, rather than waiting for someone of lead and action, but think whether their own but is not produced from it to embody the safe, secure and prosperous life essentially seek, and It does not help. At least, I moved to Kyoto from Tokyo, now spend every day while feeling so. Even now current, a lot of people in the Northeast, we Irasshai live in cooperation while superimposing the feeling. A lot of friends also, taking advantage of the lessons learned from the Great East Japan Earthquake, we are trying to Daso create so hard every day. Whether without dividing bound by personal opinion from me, please need to northeast Japan of the now to feel-talk. Please not limited to this weekend, thought to Japan from your US-Japan community, I hope if you can continue to pile. Please pardon the Ranbun prose. Thank you for the connection each other opportunity. Both endeavors demonstrate the forward and innovative thinking from the new entrepreneurs in the Fukushima region. As we approach a more unified world culturally and economically we begin to meet others from distant places, far from their native lands. Or we may be the travelers, ourselves. How can we be at home wherever we are in the world, especially when facing challenges, or when disaster strikes? In this inspiring talk, award-winning writer Leza Lowitz shows us how the idea of ‘home’ can be more than a physical location and that family can transcend the nuclear unit. Lowitz knows this from personal experience. She moved to Tokyo at the age of 40, but rather than struggle to fit in she opened a yoga studio and made a home for others. Then, at 44, she and her Japanese husband sought to adopt — in a country where bloodlines are paramount and family ties are almost feudal in their cultural importance. Her memoir, Here Comes the Sun, charts this journey of adapting and adopting. By embracing outsider status, Lowitz become an insider. Then disaster struck. Lowitz was in Tokyo on March 11, 2011, and her yoga studio mobilized to organize the largest non-corporate donation drive for Tohoku on record. She volunteered at the temporary housing shelters, and her studio helped build a library in a town devastated by the tsunami. But she wanted to do more. Inspired by a young boy she met in the disaster zone, Lowitz began to write Up from the Sea, a novel about a boy who loves soccer and creates a team to rally his town after the tsunami. Later, she discovered that exactly this had been done. Then she learned that a soccer ball belonging to a teenager in Tohoku had washed up in Alaska. The ball was found by a man with a Japanese wife who traced the owner and returned the ball. In June 2011, four Japanese school students who’d lost family members in the tsunami flew to New York to raise funds for the children of Tohoku orphaned in the March 11, 2011, disaster. Two American students, one who had lost her father in 9/11 and another who had lost his mother in Hurricane Katrina, joined them. Lowitz was deeply inspired by this story of survivors of tragedies in one country reaching out to survivors in another. Mixing fact with fiction, she based her novel on these events to keep a light shining on Tohoku. In this special talk, Lowitz will share these stories of hope, resilience and activism to suggest that even ordinary people can help each other across vast oceans and overcoming great obstacles. Leza Lowitz is an award-winning author of over 20 books, many about Japan. Formerly a lecturer in literature at Tokyo University and an editor at NIRA, a semi-governmental Japanese think tank, Lowitz has run her own highly successful yoga studio in Tokyo for 13 years, and has shared the power of mindfulness and the nurturing potential of creativity with Fortune 500 companies to Academy-award winning actors and directors to everyone in between. Click here and send us your name and email address to signup and post.